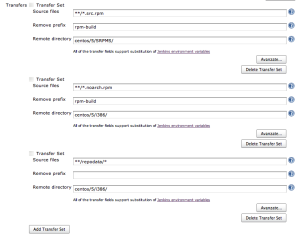 Here I'll shown a way to use it to build RPMs in CI. 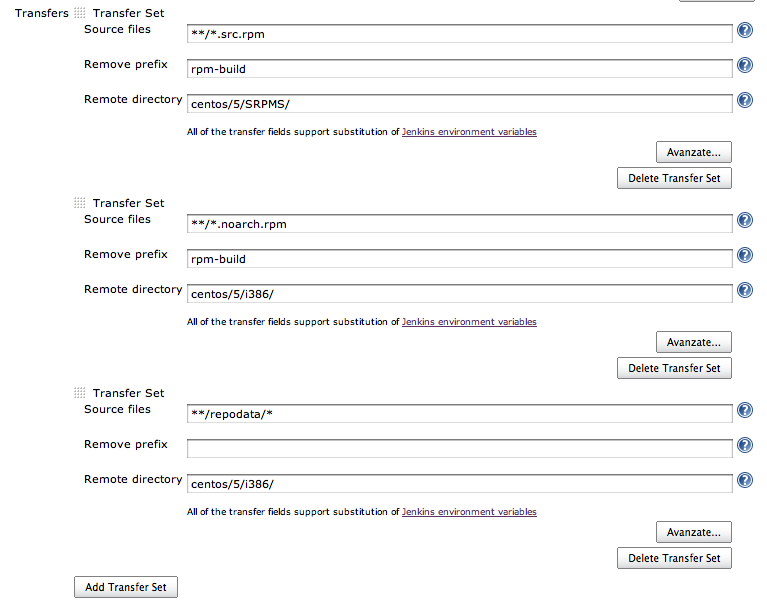 First think, for simplicity in Jenkins build script, I suggest you to use a Makefile for your project. Following an example created for the OpenSymbolic and Kermit projects. echo "- Create Changelog file"
echo "- Create new $(TMPDIR)/$(BUILDDIR)"
echo "- Copy existing Kermit sources"
echo "- Remove useless files"
#	echo "- Rename $(PROGRAMNAME) in $(PROGRAMNAME)-$(RELEASE)"
echo "- Compressing $(PROGRAMNAME) directory"
echo "- Moving source package in dist dir"
The important part is the one inside build where we create the source .tgz file (with the correct name) to use later, in the rpms part of the makefile, to create the RPM. There are different way to create it and, maybe, this one is not the best you can create; later we will a see a different way to configure it without using the makefile and downloading sources from Github. After the Makefile creation you can try to compile your project simply running make command in the folder where you have created the Makefile (usually the project root folder). Now we can configure a new project inside Jenkins, that should be a free style project with a build step with execute shell configuration. You can just put make and Jenkins will build the project. Here we have an example that will get created RPM and will update a local yum repository that will be uploaded on a server using ftp at the end of build step.